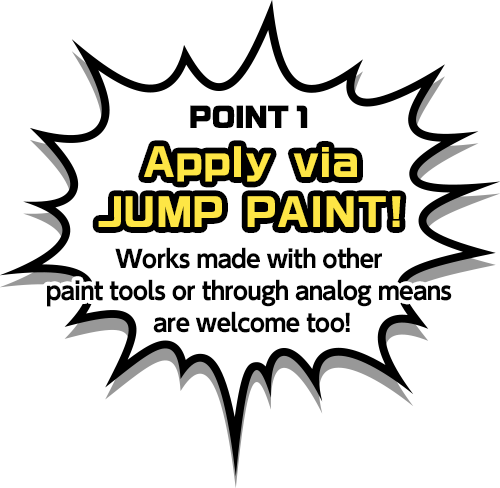 You may submit an original creation or one of the official Names specifically chosen by the JUMP editing team. Works already submitted online can be submitted as-is! Must be at least 3 pages or more. Full-color, monochrome, vertically-read, horizontally-read, whatever you'd like! Must not already be published in a commercial magazine, site or comic. Full-color, monochrome, vertically-read, horizontally-read, whatever you'd like. 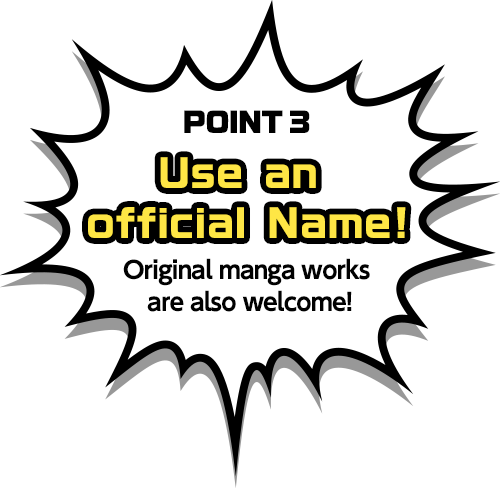 ※Use of this official Name for purposes other than making a submission, or reproduction of images of the official Name on other sites are strictly prohibited. *Limited to English, Spanish, Korean, Chinese (Simplified), Chinese (Traditional). ・Must be at least 3 pages or more. 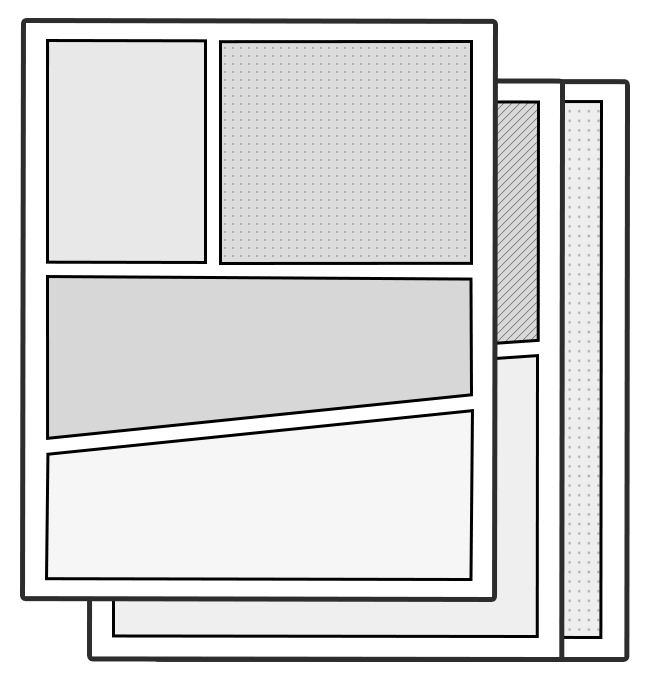 ・Free to choose whether full-colour or monochrome, vertically or horizontally-read. ・Works already submitted online can be submitted as-is. ・Free to choose whether full-color or monochrome, vertically or horizontally-read. ・Must not already be published in a commercial magazine, site or comic. ・Open anyone, whether you're professional or draw as a hobby. ・As long as it's been made for this contest, works already put up online or works from overseas are welcome! ・Works already submitted to JUMP Rookie manga contests will not be considered. ・Original works already submitted to 2nd JUMP PAINT Artistic Manga Award will not be considered. 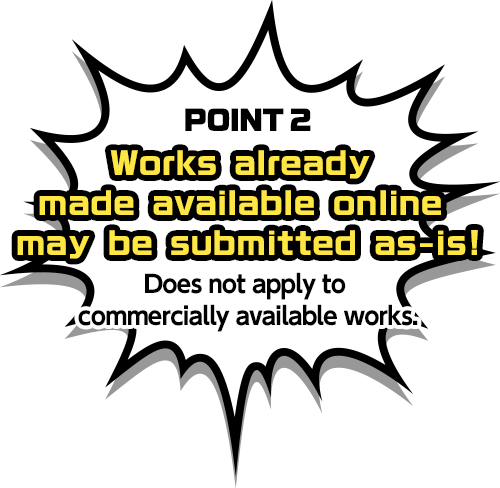 ・Limited to freely published works the applicant themselves solely hold the composition rights to, as well as works not available in commercial publications. ・Plagiarised works, derivative works, submissions containing strong ideological themes etc. will be refused. ・Entries that are in English, Korean, Chinese (Simplified and Traditional) and Spanish can be submitted as-is. 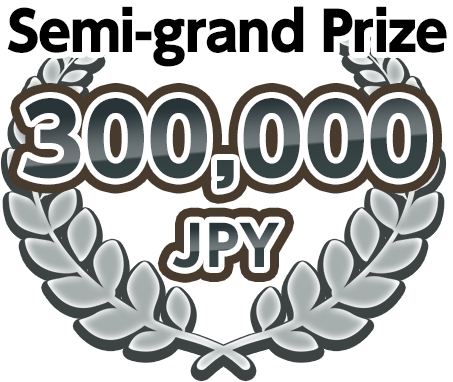 After the contest has concluded, submitted works will be examined by the SHONEN JUMP+ editing team. 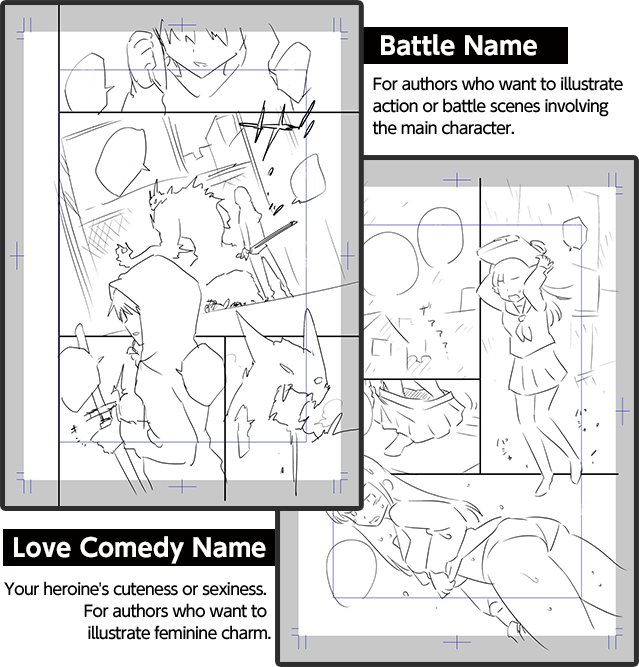 ・Works to be published in Jump+ will also be translated by the MediBang team beforehand. 4. Add the contest tag to your work at the publish settings screen and submit your creation to MediBang. ※Successful candidates may be published in Jump+. ※Prizes may not be awarded in the event of no successful candidates. ※Feedback may be given to others in addition to the prize winner. Publishing rights, screening rights, performance rights and image rights etc. will each be attributed to Shueisha. 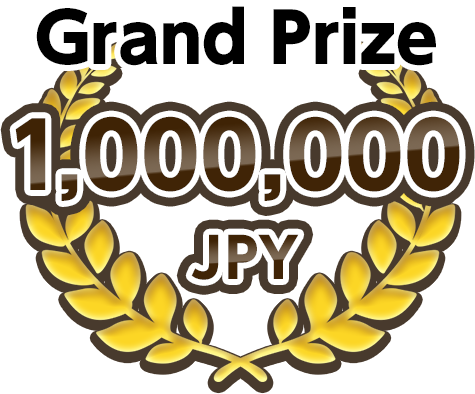 The prize money will be sent to the entrant's MediBang account using their PayPal, or wired to a Japanese bank account (the winner will accept the responsibility of any associated wiring fees).